2016 Tesla Model S 60 only 6k MILES!!! 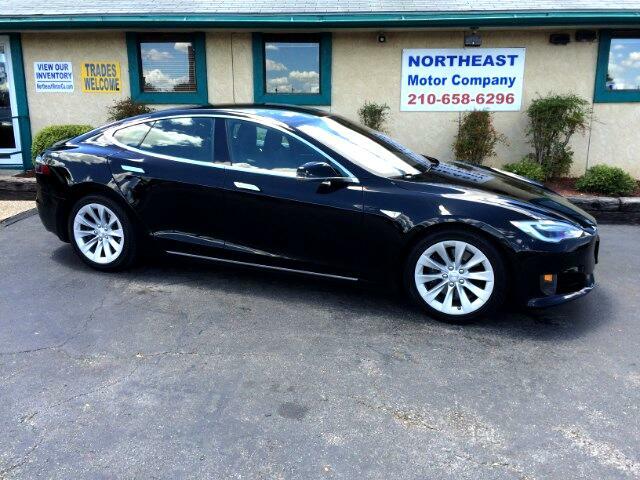 Our 2016 Tesla Model S 60 is virtually brand new with only 6k miles and very well equipped. As well as having the ability to upgrade this Models S 60 to a Model S 75 for a very affordable fee from Tesla, this car is lavishly appointed with Auto Pilot, Summons, Supercharger Enabled, Tech Package, Alcantara Headliner, 4G Internet, Smart Air Suspension, Black Next Generation Seating, Power Windows/Locks/Mirrors, Bluetooth, Sonar Parking Assist, Backup Camera, Dual Climate Control, Auxiliary Audio Input with USB Interface, Power Adjustable Front Seats, 19 inch Aluminum Alloy Wheels, and MORE!!! We here at Northeast Motor Company are very proficient in Tesla Motor Company's vehicle lineup as well as the electric vehicle movement. Have confidence when dealing with us for your Tesla purchase. Message: Thought you might be interested in this 2016 Tesla Model S.